Prior to being acquired by Cooper, Ocular Sciences was a leader in ocular biotech, producing cutting edge contact lenses. We helped develop a full suite of B2B marketing materials for the outside sales team as well as web collateral and trade show materials. 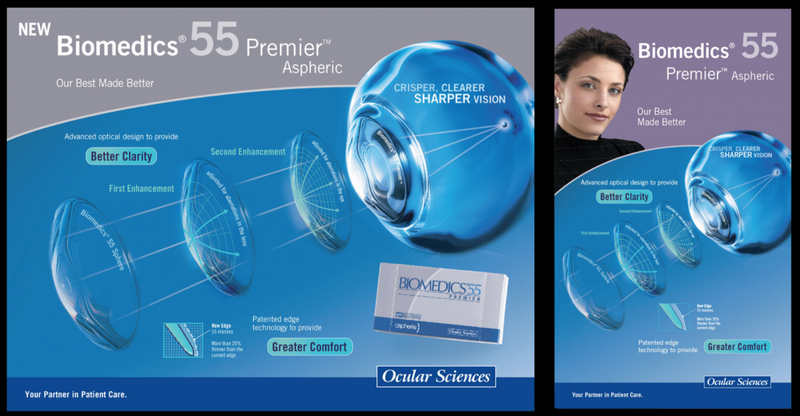 Ocular Science’s campaign was wildly successful, contributing to setting up the company to be acquired by Cooper Companies in 2004.